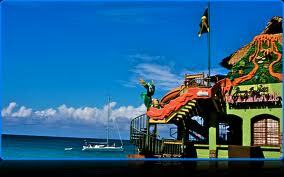 There are tons of Negril attractions in Jamaica all ready to stun you with there natural beauty. Many years ago Negril was only a small fishing village on the west coast, now it conceals a wide array of natural beauties with plenty attractions and parties. It is a major tourist destination. Be ready to be mystified by its glorious white beaches, anything goes parties, rich cultural heritage, incredibly romantic and fiery sunsets and beautiful vistas like nowhere else on earth and shopping. So if you are planning a vacation, include Negril on your list. 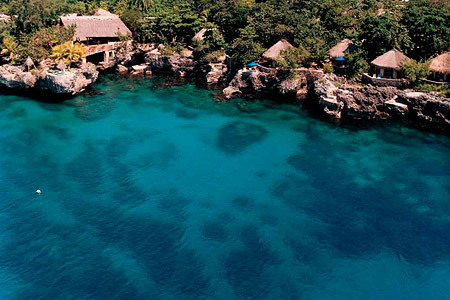 Lets review some of the best attractions in Jamaica to be found in Negril. You can find peace and tranquility here where it is less crowded. Walk the white sandy beach and swim in the clear blue waters of the Caribbean Sea at the Long Bay Beach. 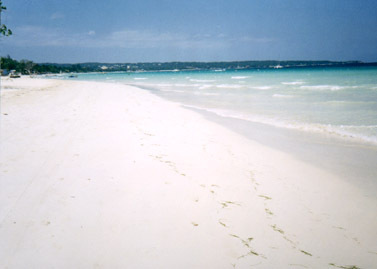 Long Bay beach is just north of the infamous seven mile beach where you will find sand white as sugar. Enjoy beach parties or just kick back and relax. Either way, the honey gold sunsets and the gleaming waves are sure to captivate your mind. You will find twenty-one enthralling waterfalls and pools, shaded by glades of bamboo. Lots to do here at Mayfield Falls. Here you have water-sports and magnificent falls to enjoy. 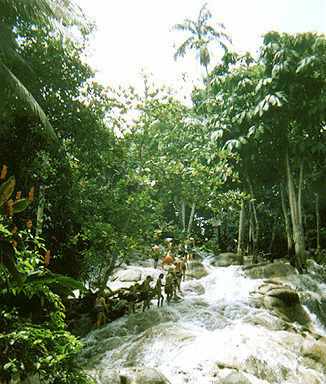 The falls are surrounded by thick green forest and are hidden among the mountains of the countryside of Jamaica. If you like hiking, well this is an ideal area for hiking. Your journeys starts by crossing the bamboo and log bridge. Walking along the river side, where your guide will show you our national fruit the ackee, breadfruits and other Jamaican fruits, vegetable and flower. Hike all the way to the Bamboo village. 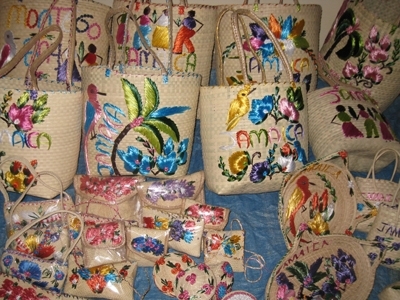 At the Bamboo Village you can join in the show, enjoy reggae music and dancing. Get your taste buds going and enjoy delicious chicken, rice and peas. Then quench your thirst with a non-alcoholic local beverage that you are bound to love. These Negril attractions are ideal for seclusion and you wanting to spend some time renewing your spirit. The Blue Hole is a beautiful sinkhole that is surrounded by limestone. A natural beauty of turquoise mineral water swimming pool. They also offers great spa services and dining. You are destined to have a good time here. If you are in the mood for fun and thrilling parties and activities then this Jimmy Buffet inspired place will serve you as an ideal Negril Jamaica attraction. This place is lively at every hour of the day, with welcoming open-air bar, refreshing drinks and of course great reggae music. Buying stuff for yourself, family and loved ones is a holiday must. This mall shines with a wide range of Jamaican art and craft, clothes, accessories and food items for both, you our guest and we the locals. Be sure to check this place out. Experience the best cliff-side dining along with captivating views of the sunset from the cliffs of Pristine Cove. Lamp-lit at night, this place is perfect for family parties, entertainment, drinks, playing table games, watching movies and enjoying outstanding nouvelle Jamaican food. Negril attractions will transform your holiday into a lifetime experience that you will always cherish.